This series will focus on the paleobiology of hominins, the taxonomic tribe of the subfamily Homininae to which humans belong. A special emphasis will be on questions of adaptation, behaviour, subsistence and technology. Harvati will uncover and explore many interesting aspects of primate and human evolution and present the results of her fieldwork in Europe and Africa. A crash course of 4 lectures and 2 topics per lecture in 2 days. Prof. Katerina Harvati is the holder of the Eugène Dubois Chair 2018. 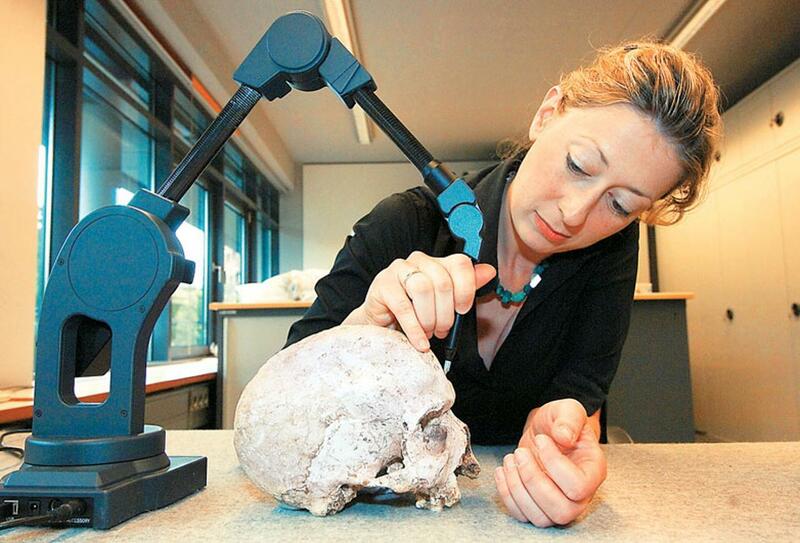 She is a specialist in Neanderthal evolution, modern human origins and the application of 3-D geometric morphometric and virtual anthropology methods to paleoanthropology.